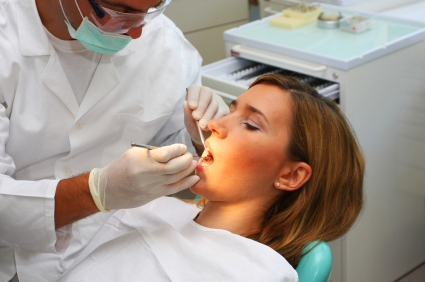 People will come across multiple dental procedures which can cater to their needs. Some dental issue can be corrected by multiple types of procedures making it hard to choose the best possible option. A solution which can restore a tooth’s appearance, as well as its overall function, would be ideal to most. Nowadays people are self-conscious about how they look and would prefer to restore their teeth by getting a natural-looking solution. Not only does it correct their smiles it will also serve as a confidence boost! We at Avalon Dental Group provides this type of solution in the form of Dental Crowns, which can let people regain their natural looking beautiful smiles. Dental Crowns are a tooth-shaped cap that is placed over the tooth to correct its imperfections or damages. A Crown could restore the tooth’s shape, size, color, strength, and its overall appearance. As it is shaped like a cap, it can fully encase a treated tooth to protect and prevent it from being damaged further. Metallic Crowns. Alloys such as Gold or Platinum and base-metal alloys Cobalt or Nickel Chromium are used to create Metallic Crowns. These type of crowns are known to withstand the strong chewing force and it last longer. Resin Crowns. It is a type of crown that is the least expensive. The materials used are tooth-colored which can resemble the surrounding healthy teeth structure. The drawback of resin type crowns are, they are not too durable compared to other types. All Ceramic. It is also referred to as Porcelain Crowns which provides the best resemblance to the natural teeth out of the other options. They are best suited for those patients who prefer to have a more natural-looking restoration. Porcelain Fused to Metal. By using the two materials such as porcelain and metal, it is guaranteed to be durable and provide a pleasing appearance. It does not only work to restore the look of the tooth but also to regain the function of the treated tooth. It can restore both the aesthetic and functionality of the treated teeth. Due to the several materials available, patient’s can get the best possible treatment while considering their conditions like allergies to metal. Dental Crowns are used for dental appliances such as Implants and bridges. It could protect the tooth structure that has undergone a Root Canal Treatment. Boosts the self-esteem and confidence of patients making them smile to their heart's after restoring their natural looking teeth. Aiming to restore your teeth as natural as it was before? Contact us to know more about Dental Crowns in Sugar Land, TX, or to schedule your appointment with Avalon Dental Group.